If you’re having a pool installed this season, you want something that’s both practical and beautiful. Concrete pool builders in Orlando, FL, have a lot of options for you, but before you stop by, take some time to think about what you want first and look at some of the hottest trends for the coolest pools of 2018. This summer, tiles are one of those hot trends. A custom pool builder in Orlando, FL, can easily tile the sides of your pool, making it more durable than, say, a vinyl pool liner, and far more attractive. You can pick a solid color, although a nice pattern might be just what it needs, or even a water-themed picture like a dolphin. Some people are even tiling the areas around their pools, so the placement and design of your tiles is limited only by your creativity. In the 21st century, people may as well embrace all the good parts, especially the technological advances. These days, you can set it up so that you can control a variety of aspects of your pool from your phone, such as the temperature, cleaning system, and heating. Even if you don’t choose to take the phone route, you should at least consider getting these systems automated in some way. Automated pool covers, for instance, are much safer than the kind that you have to tie down. For reasons like this, you should get automation taken care of as early as possible when you’re first installing the pool and concrete pool pavers. If you want to highlight your pool and the best pool pavers, make sure you consider lighting, which is additionally important as a safety feature. Colored lights are often a popular choice, but this season, an emerging trend is to light the pool with elegant lanterns. The pool shape is critical. Luckily, concrete pool pavers can go around any shape, so possibilities are limitless. These days, many find ovals and rectangles to be pretty boring, so you may want to spice it up with something that curves and provides some visual interest. Concrete pool builders in Orlando, FL, do more than just create a pool. They can also shape the area around your pool so that you have a place to hang out during pool parties or whenever you want to enjoy your yard. Specifically, you’ll want to plan the area around your pool to make sure you have a deck large enough to include adequate seating, grills, fire pits, and anything else you might want, as well as shade overhead. You can also design your landscape to act as a windbreak for your pool to retain some of the heat. What Size Yard Do You Need for Your Pool? 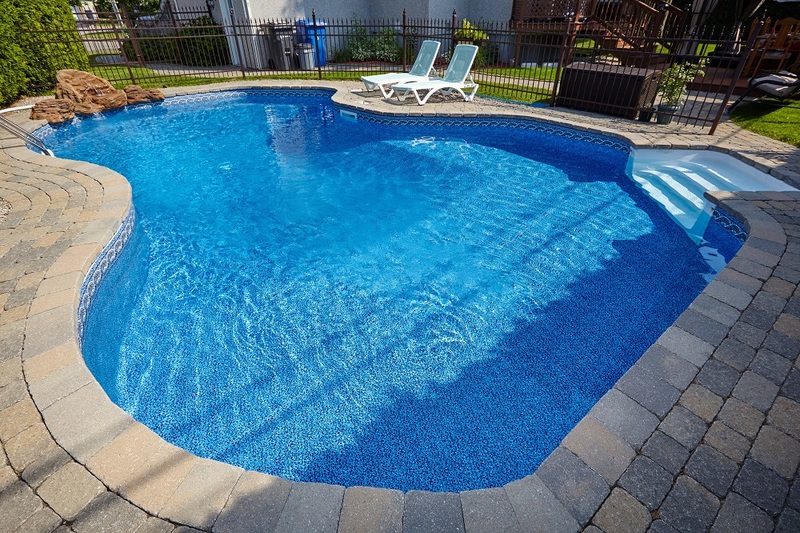 Can a Pool Add Value to Your Property?